Tues. Feb. 12, 8:30 -10 a.m.
Here’s your chance to get an update on Arsenal Yards, the $400 million redevelopment of Arsenal Mall in Watertown by Boylston Properties , The Wilder Companies, and JP Morgan. 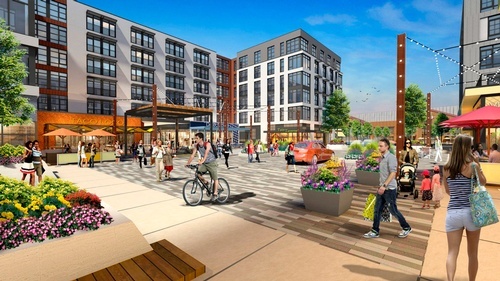 The project includes over 300 apartments in three buildings, 250,000 square feet of retail -- including Roche Bros. and a movie theater, 200,000 square feet of office space; a 150-key Hampton Inn & Suites by Hilton and new green space. Our presenter will be Bill McQuillan, founding principal of Boylston Properties. Registration, coffee and networking to begin at 8:30 a.m. Presentation promptly at 9 a.m. Presented by the chamber’s Real Estate Committee.